Reliance Electric was an industry leader providing quality AC, DC, and Servo Drives for the industrial automation market. 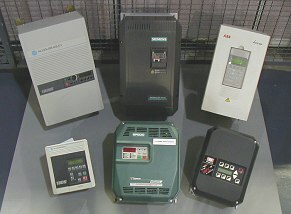 Many Reliance Electric Drive Systems utilized the Distributed Power System (DPS) architecture, which was made up of a Universal Drive Controller (UDC) card in the AutoMax and a Power Module Interface (PMI) rack at the drive. Reliance Electric also sold many drives integrated with AutoMax systems utilizing the AutoMax Network (DCSNet).